best site for your needs. 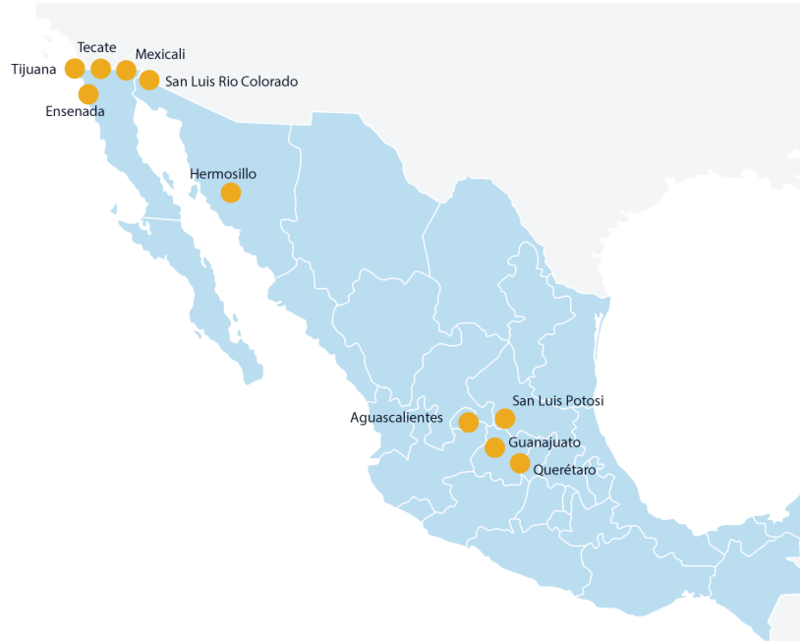 The Mexican states of Baja California and Sonora serve as manufacturing hubs for a number of multinational companies. The pages below highlight the benefits and strategic location advantages of the different manufacturing hub cities in the states of Baja California and Sonora. The central area of Mexico, also known as Bajio, is a hotbed for manufacturing operations, particularly in the automotive and aerospace industries. This pleasant region features a variety of topographies as well as charming colonial cities and towns.